See Máire MacNeill, 'The Festival of Lughnasa' (pp. 143-44) for details of the festive assembly on Ganiamore. 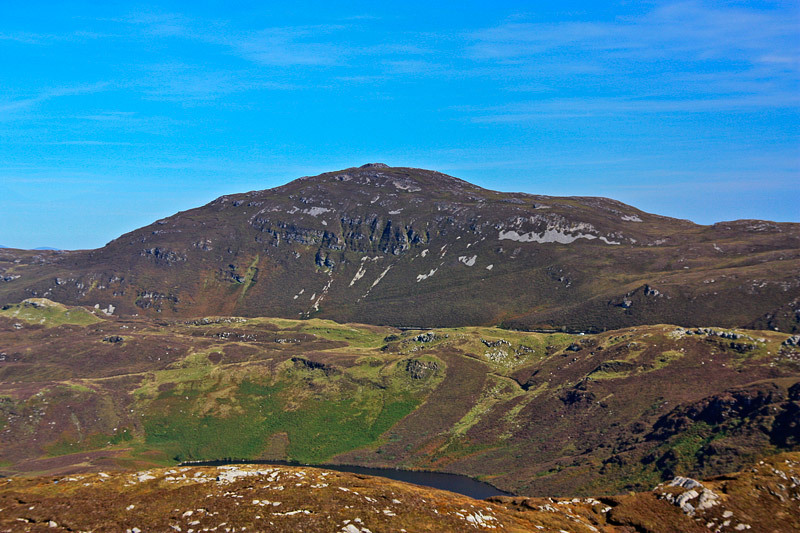 Loughsalt Mountain is the 663rd highest place in Ireland. Picture from group : From the SW.
Short walk and great views. Start from either the north or south end of the Lough. From the south you can park around C1220 2620 A and go around the south end onto paths that lead to the top. From the north you can start around C129269 B and ascend the steep ground there to the summit. Track 2224 shows a way of extending the walk around Lough Reelan.